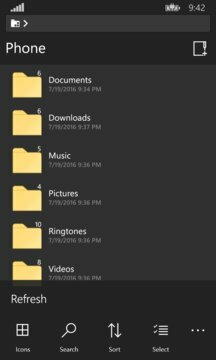 The original Metro style File Manager that inspired the user experience of "files" and many "likes" in the store, with unique features that speak for itself. 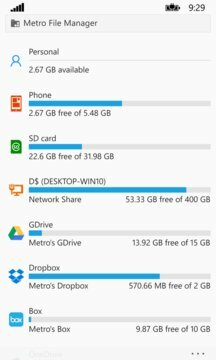 Metro File Manager works as your phone does, with advanced functions that are always complemented with adequate tips to make things "easy". • Free version is Ad supported, allows all of Phone and SD Card management functions, one of each remote/cloud accounts, and ftp sharing of Application storage. Your continued free usage is subject to overall response received at the store in your region. You can upgrade for more with in-app purchase.